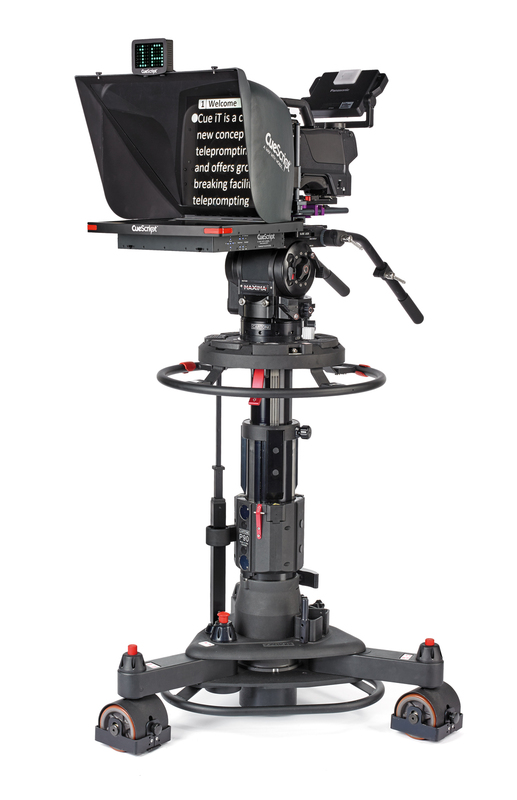 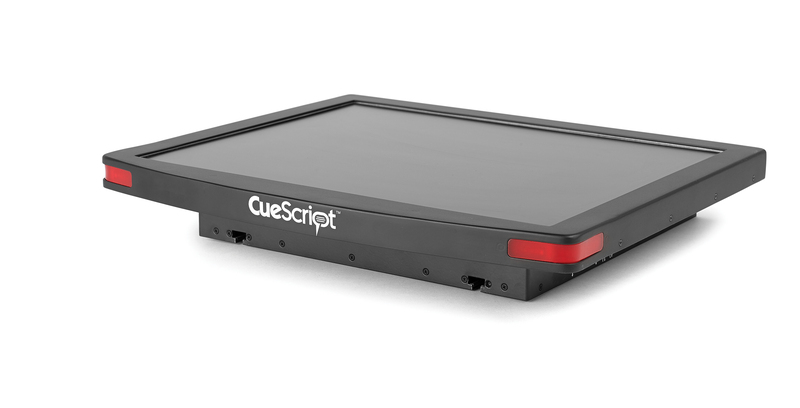 The CueScript CSM15 prompter is for use in studio as well as on location. 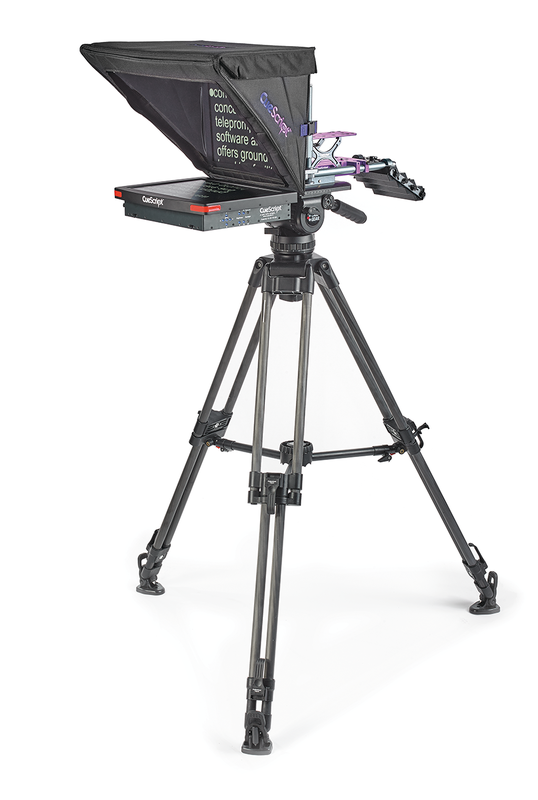 The sleek design has an integrated mounting system allowing for quick, easy setup and the LED high brightness screen means clarity of the autocue isn't impaired if shooting in daylight. 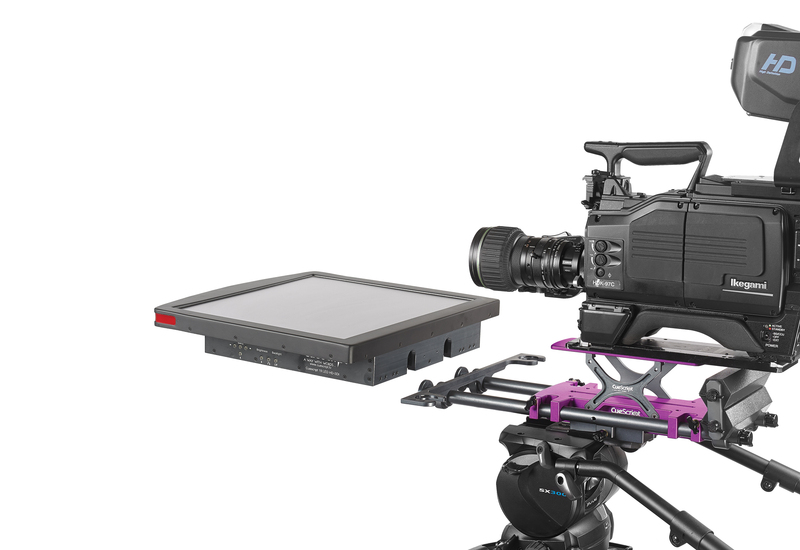 Integrated 'On-Air' Talent Monitor mounting rails.